For amateur trekkers who want to get a taste of the Himalayas, there is no better start than a Chopta trek. Trek through the extremely pleasant meadows of Chopta up to a spectacular 13,550 feet & get views of snow-capped mountains in the Himalayas. Camp at scenic locations and sleep in tents. This trek is a good option for those who want a mix of mountain fun and beautiful scenery, as well as the added thrill of some peak climbing. This adventure combines a series of fun adventures: trekking through the alpine environs of Chopta, a visit to the lakeside paradise of Deoriatal, all the fun of climbing a smaller peak in the Garhwal Himalayas, and a visit to Tungnath. On this Chopta trek, you'll camp beside Deoriatal lake, where the clear water reflects the mountains and forests around. You'll climb Chandrashila Peak which is 13,123 feet high and is home to Tungnath, the highest Shiva temple in the world, where you'll stop to take in the serene atmosphere. 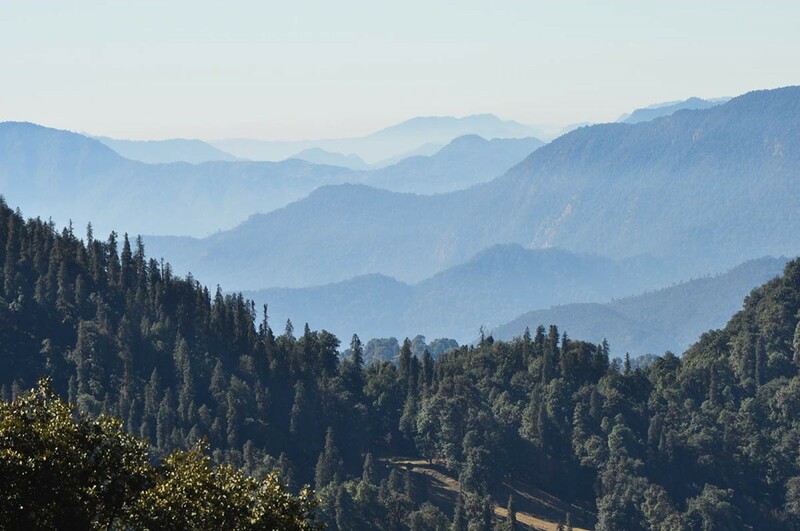 This trek to Chopta Chandrashila is not difficult and can be done by first-timers, but the climb to Chandrashila can be challenging for children or for those without any experience. It's a good option for fit beginners who want a mix of mountain fun and beautiful scenery, as well as the added thrill of some peak climbing. This trip is a combination of utter beauty, adrenaline-inducing peak climbing, and gorgeous lakeside camping. 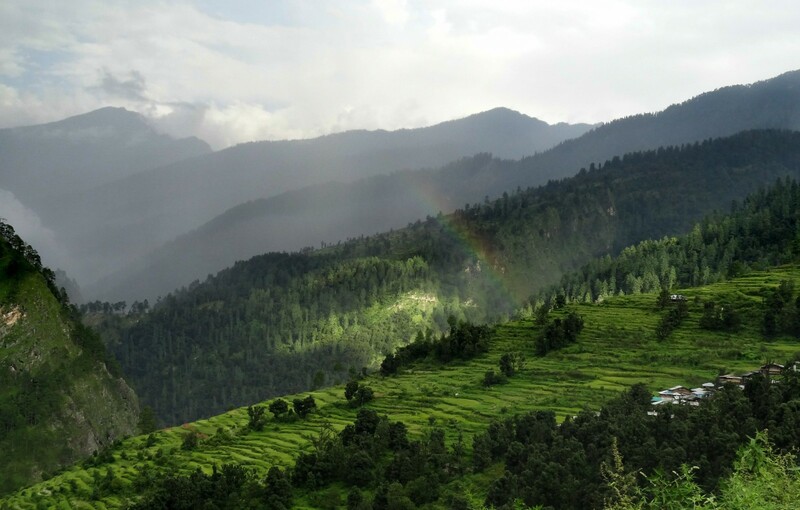 You'll visit the lush hills of Chopta, also known as the Switzerland of India. Here, you'll walk through wide open meadows and pine forests. As your adventure continues, you'll also stop at Tungnath Temple, which is the highest Shiva temple in the world. You'll also visit the Deoriatal lake, where you'll camp for the night, and go on to Chandrashila Peak, a smaller peak of the Garhwal range. This climb, while not long, is steep, and gives you great views from the top. Personal expenses such as apparel or gear, any extra meals or beverages etc. For amateur trekkers who want to get a taste of the Himalayas, there is no better start than this. On this trek, you'll travel to the dramatically pleasant meadows of Chopta, get views of snow-capped mountains in the icy waters of Deoriatal, trek to Tungnath, which is one of the highest Shiva temples in the world, and climb to Chandrashila, which is even higher than the Tungnath temple. All this, but on an easy trek that gives beginners a chance to experience mountain life at its best. NOTE: A minimum of 4 travellers are required to book this trek to Chopta, Chandrashila and Deoriatal. This trek is a short, easy trek that takes you up to a spectacular 13550 feet. It runs along the high Himalayas, offering you great views all the way. The trek allows you to visit Tungnath, which is said to be the highest Shiva temple in the world. The challenge of climbing to Chandrashila is an exciting one for any adventurer, and the 360-degree panorama of the mighty Himalayas is ample reward. All trekking arrangements with India’s most experienced guiding team, camp staff, cook etc.